I’m not a seasoned kayaker, nor do I own the necessary equipment. So, I decided to sign up for a 6-day kayaking expedition with Spirit of the West. Great decision! Sadly, Mike couldn’t join me; his back was out. Too bad, I’ll have to go again! My paddling companions were eight folks from Canada, the US, and Holland, plus our two awesome guides, Tessa and Pat. 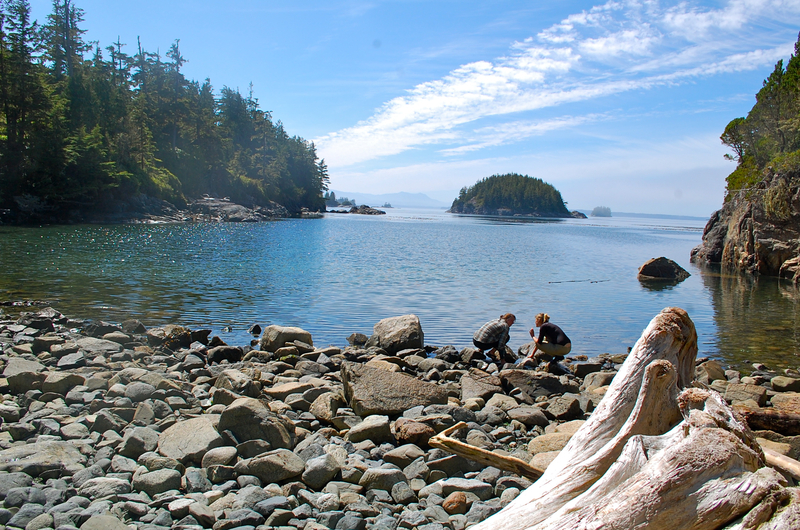 Our trip started with a 2-hour water taxi ride from Telegraph Cove into the heart of the Broughton Islands. En route, our group bonded over the shared excitement of seeing enormous humpbacks in the Johnstone Strait. We were off to a good start. 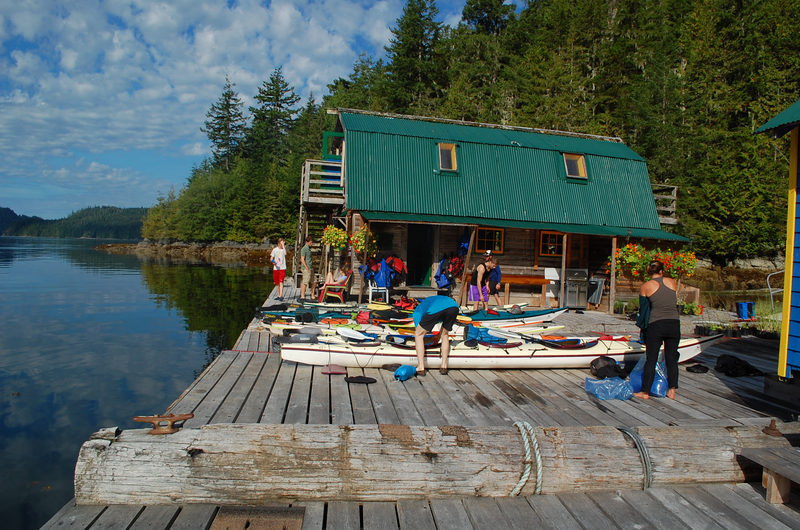 Our first night’s accommodation was at the Paddler’s Inn near Echo Bay. This small float house oozes rustic charm. 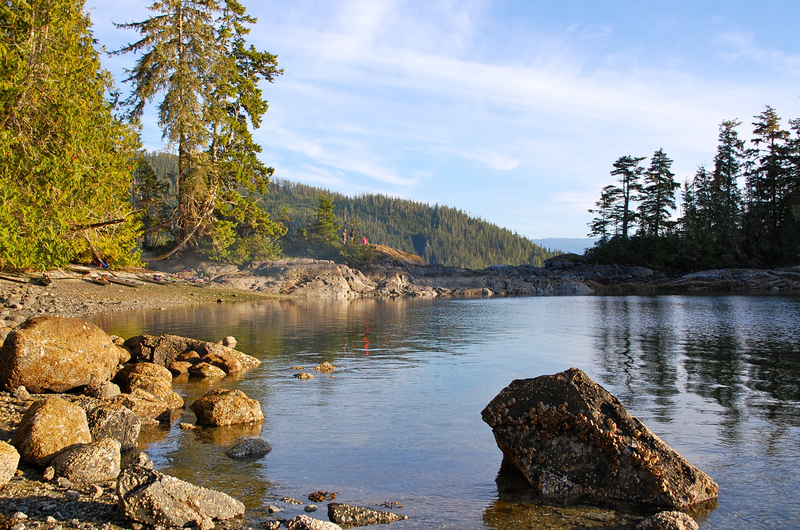 It’s a great spot to stage kayaking trips, and a lovely place to hang out and explore the surrounding forest trails. We got accustomed to our crafts with an easy paddle to Billy Procter’s Museum. Billy is a life-long resident of tiny Echo Bay. He has been a fisherman, logger, salvager, and activist, and is the co-author of Heart of the Raincoast: A Life Story. 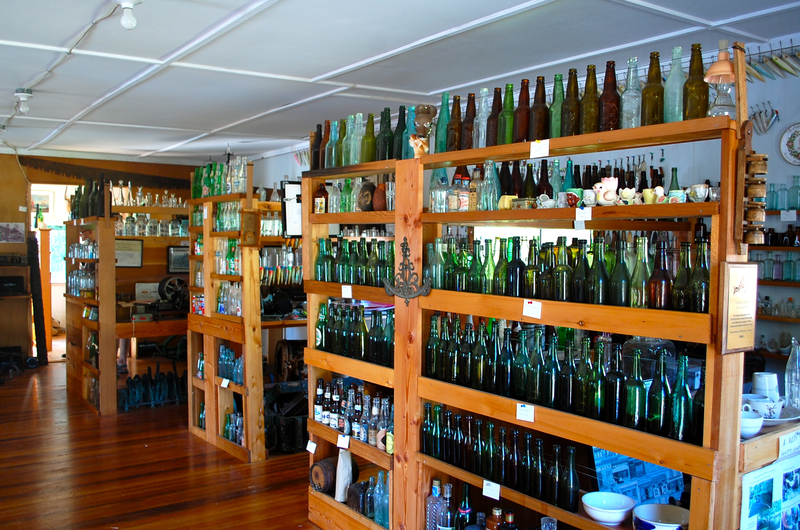 He’s a fascinating character and his one room museum is a treasure trove of bottles, arrowheads, fishing lures and other items he has collected during his life in the Broughton Archipelago. Our paddling started in earnest the next morning, but first we had to learn how to pack our kayaks. We had a huge pile of stuff and I was astonished by how much our kayaks could hold: food, water, camping/cooking gear, and personal items for 11 people. Oh ya, almost forgot about the boom box—a portable toilet with lid. Our next four days fell into a comfortable routine of paddling in the morning, stopping for a snack— a feeding frenzy really, as our group included three guys ages 15-20— and another short paddle before reaching our wilderness camps in the early afternoon. 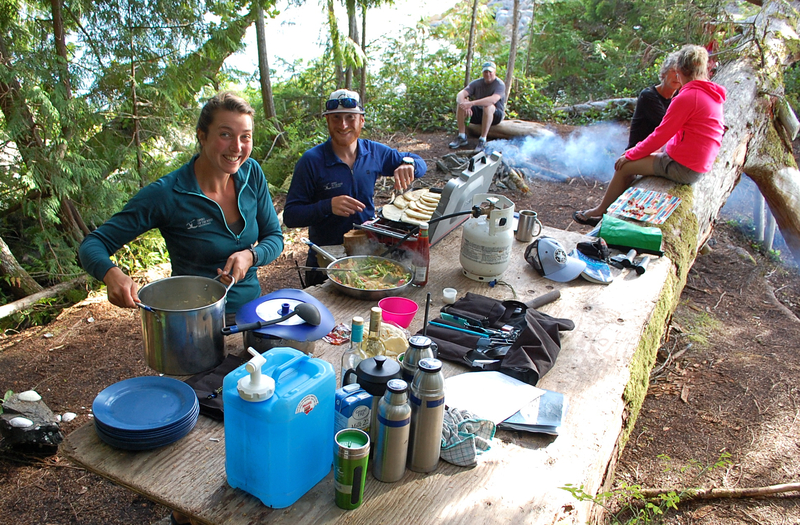 We’d set up camp, feast on a tasty lunch, and choose between an afternoon paddle and pleasantly lazy activities around camp. By 6:00 pm it was appy time—smoked salmon, goat cheese with pears, stuffed grape leaves just to name a few. Dinners were divine. My personal favourite: Thai curry followed by chocolate fondue. Not long after, I’d stumble into my tent. At 7:00 am, Pat played a tune on his harmonica, signaling that coffee was served. The weather too, followed a predictable pattern. Mornings were dead calm and foggy. I didn’t mind the gloominess. It added to the mystique of the rugged West Coast setting. By midday the sun would break through and by late afternoon we’d be warming ourselves like seals on the heated beach rocks. The archipelago is a mass of rugged, undeveloped islands and tiny islets. 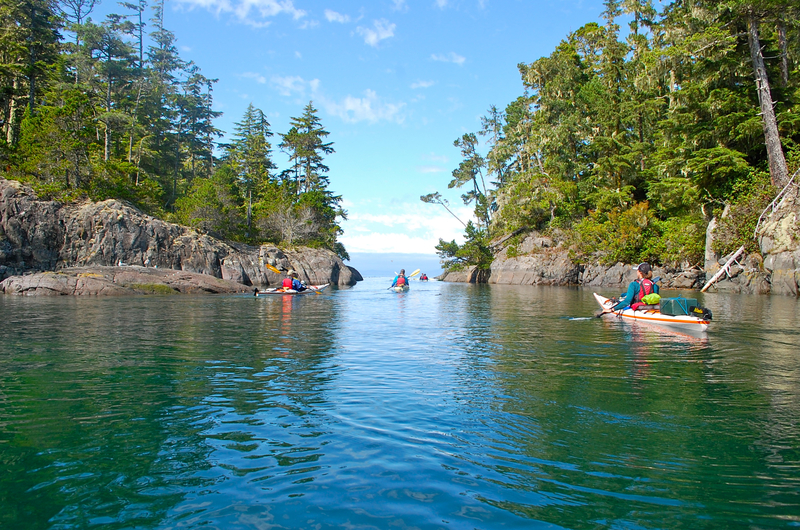 The craggy, contoured shorelines and narrow passages are a kayaker’s paradise. Except for some sparsely populated First Nations settlements, and fish farms there are few human inhabitants. The waters however support a sizable population of resident and transient orcas, humpback whales, porpoises, seals, and sea lions. The tree tops and skies are filled with eagles, and while more elusive, the islands are home to bears and cougars. 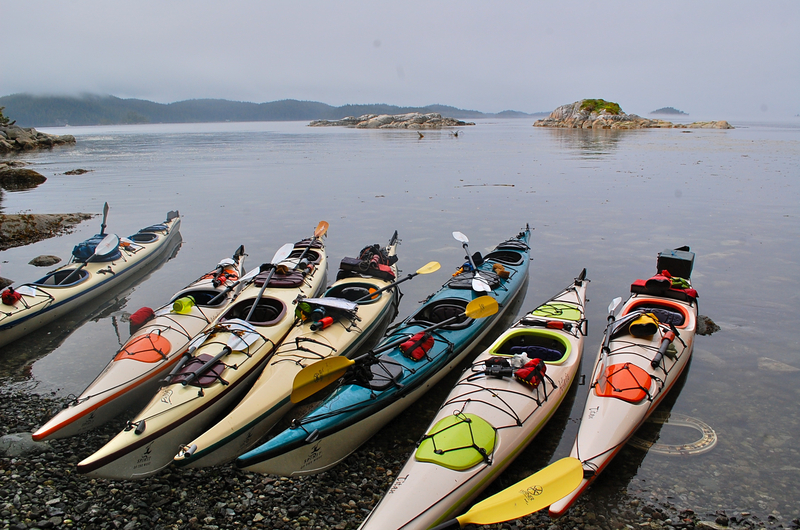 I enjoyed every day, but for marine life, our paddle from Owl Island around the northern tip of Swanson Island into Blackfish Sound was the pinnacle. We rafted up near the tip of Swanson and let the current take us almost the entire length of the island, all the while watching the mesmerizing whale activity. One humpback surfaced so closely, it took us completely by surprise. 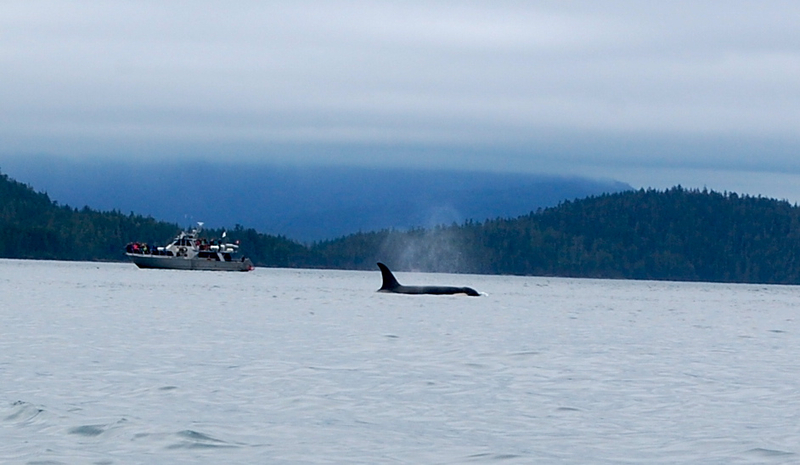 At our camp on Compton Island the whale show in Blackfish Sound continued. We watched the whales spouting as the sun went down and we were greeted with the distinctive sound when we woke in the morning. Totally awe-inspiring! For pure beauty and serenity, my vote goes to the Plumper Islands off the northeast end of Hanson Island. I loved paddling through the small passages, watching juvenile bald eagles take their first flights. There were many more beauty spots, like our sunny beach on Owl Island, the intricate passageways around Fire Island, and the treasures found everywhere along the intertidal zone. 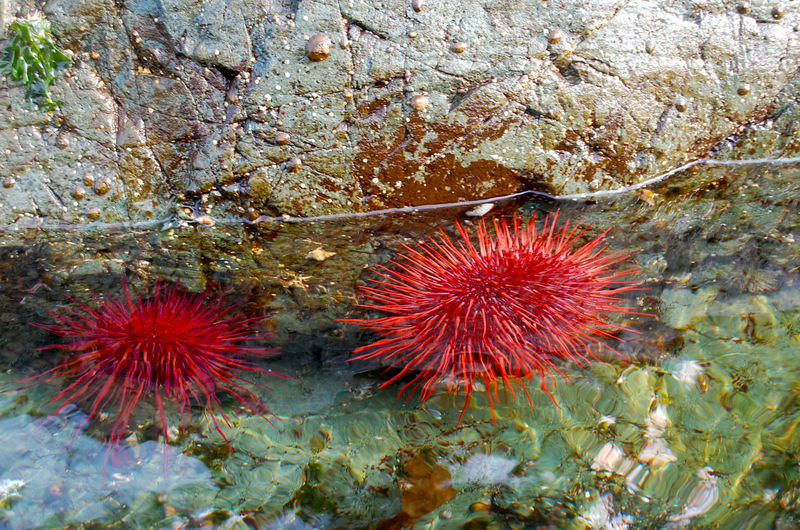 The bright red sea urchins are gorgeous and we discovered that they also make a tasty raw snack. The yellowy-orange hued innards have the consistency of lightly cooked crab with a creamy-salty taste that was milder than I expected. It’s actually the creature’s gonads that you’re eating. I feel very privileged to have experienced a small part of the Broughton Archipelago Marine Park and the majesty of the wildlife that make it their home. My travel companions were a wonderfully eclectic group who greatly added to my enjoyment of the trip. Spirit of the West is a top-notch outfit who provides exceptional guiding, and adheres to high environmental standards (did I mention the great food!). 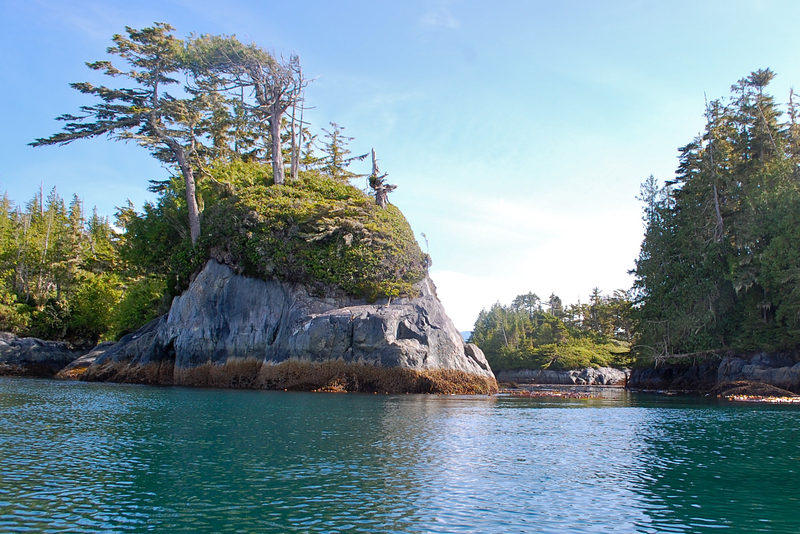 Although not that far from my home in Vancouver, the Broughton Archipelago feels very far away. It is a special place. We are going in August!!! You are in for a great time! Enjoy! Awesome, awesome, awesome! What can I say – dream vacation. I hope we are here in Canada next summer. If we are – we are definitely doing this! I hope you get to do this, and you’re absolutely right, it was a dream trip! Thanks for visiting. If you need more info please let me know. I had to stop by your blog after you liked one of my comments on another blog. Your photos are absolutely stunning and the pictures of the whale are unbelievable. At first glance, I thought the first one was a submarine (the pointy fin should have been a clue that it wasn’t) but when I began reading the post I was speechless. Your entire trip was like something out of a book and the beauty – wow!! I thoroughly enjoyed your post. Stephanae, thank you so much for your kind words. It was an unforgettable trip and I feel so fortunate to have had this experience. 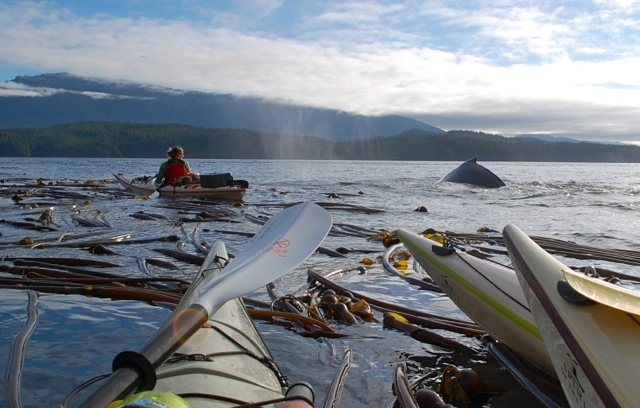 I had seen whales before, but never from a kayak and I was overwhelmed by their size. Thanks for stopping by and following. My pleasure Caroline. I cannot wait to explore more of your adventures and be awe-struck at the pure beauty of the world we live in. AGREED! Right up there with some of the best trips I’ve done! 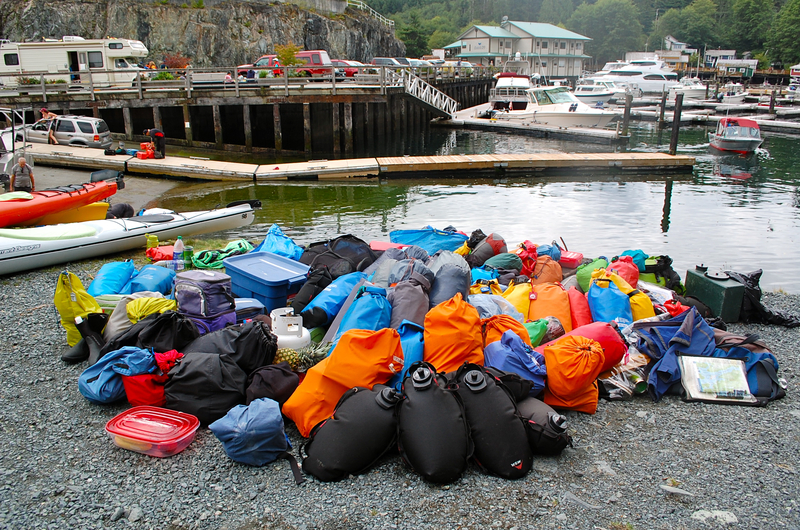 i was on the trip right after yours … picking up the kayaks left by your group on Hansen Is. Different, but by the sounds of it equally awesome guides, and amazing sights, sounds, and people. 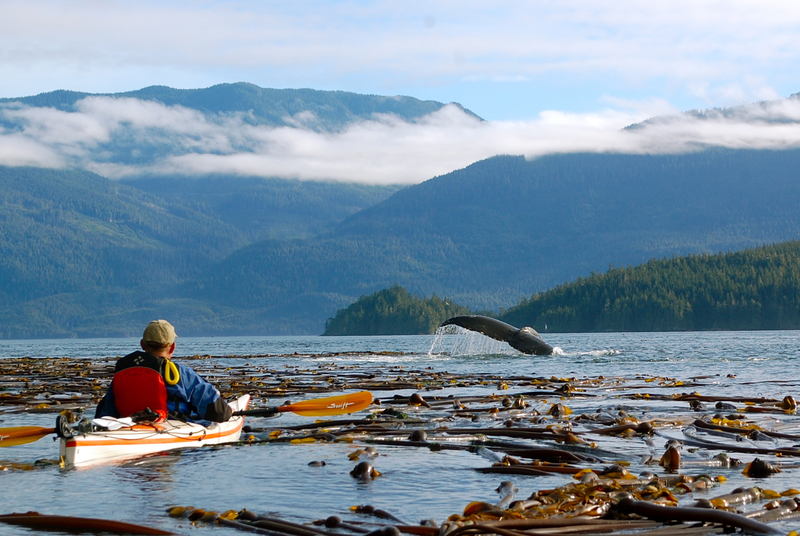 Would highly recommend Spirit of the West to anyone interested in trying out Sea Kayaking …. Wish i was still there! Glad you had an equally great time. Our group was debating about the best direction. 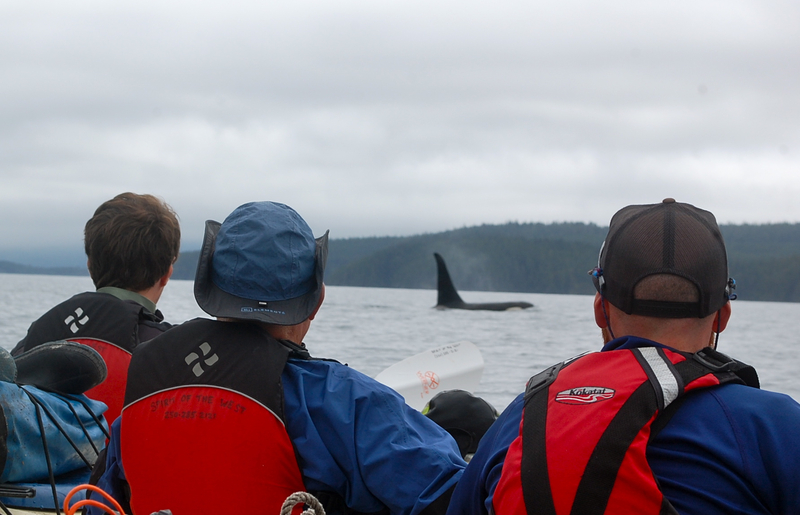 It was wonderful seeing all the whale activity in Blackfish Sound and Johnstone Strait near the end of our trip but it must have been fabulous ending at Paddler’s Inn. Thanks for reading and I hope you get to go again. What a wonderful trip. And you got some gorgeous photos. I would love to do that one day. I love the west coast! Thanks for reading. I highly recommend this trip. Hope you get to go.